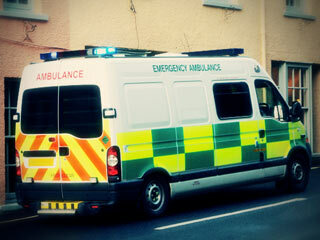 We have vehicels that are insured to respond under blue light conditions. 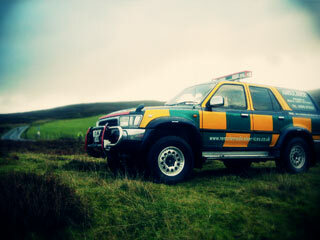 4x4 emergency vehicles to cover the rough ground that some events operate on. All vehicles are tested regularly to ensure reliability. 4x4 units are used to navigate across rough terrain and have demonstrated to be very effective tools for events that do not operate on sealed surfaces. This type of vehicle has proven to be invaluable when the causality is in a remote destination and hard to reach with conventional ambulances. Fully registered and insured to drive under blue lights these vehicles are equipped with medical provisions the same as a front line ambulance and also have the capacity to transport a casualty. Staff that drive these units are experienced off road drivers and know how to get as close to the scene of operations as possible. 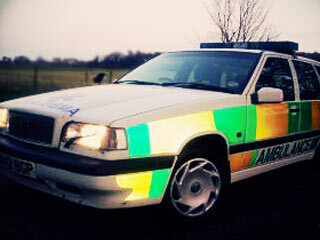 This comprises of a police specification 2.5 litre turbo Volvo that has the option to respond under blue lights when needed for rapid attendance to scenes if required. Vehicles of this nature can be utilised for the rapid transport of medical staff to the scene of an incident and proves the fastest way of carrying life saving equipment in heavy urban areas. The rapid response unit can also be used to transport medical equipment between hospitals or even to transport donated organs when time is of great importance. A fully equipped front line ambulance that is insured to drive under blue light conditions which can be used for patient transport services. This vehicle may also be used as a medical aid station for events or as a front line ambulance dedicated to saving life.